Come join us for an adventure vacation of a life time combining Surfing, SUP’ing, Yoga and more into a fun extravaganza in beautiful Canoa beach, Ecuador. It will be easy for you to find the time spent with us here to be fun, energetic, enriching, and yes, relaxing. Your all-inclusive package includes 2 meals a day, all lessons, beautiful accommodations, and all your travel/flights within Ecuador so you need not to worry about anything while you are soaking in the sun, beach, waves, flat water paddles, and culture. 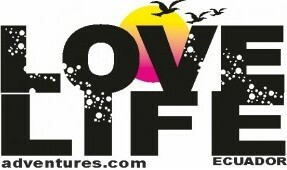 It’s a time to relax, SURF, rejuvenate, SUP, stretch, laugh, make some new friends, and become closer to nature. 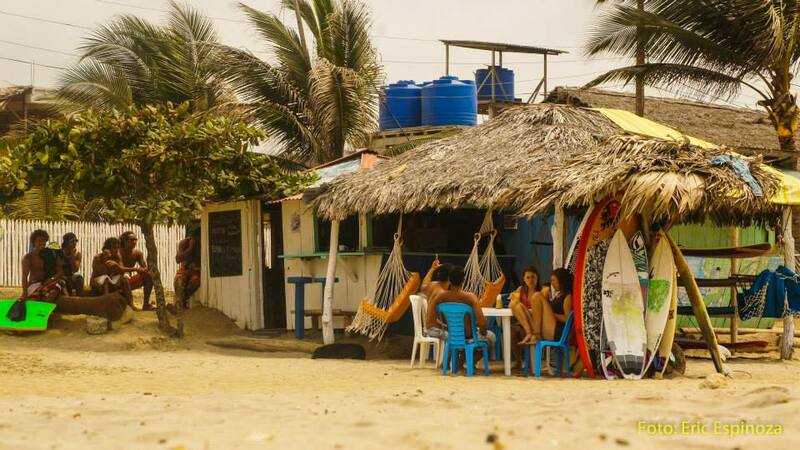 Canoa is a welcoming little beach town with a lot of culture and happy people. 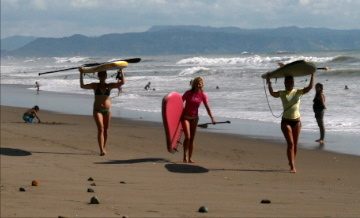 You will be staying at La Vista hotel and spending lots of time with us at the Adicto Surf & SUP cafe that we own too. We encourage you to mingle with the locals and practice your spanish. 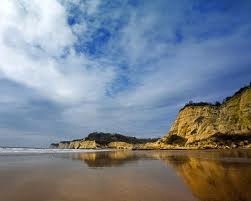 We look forward to having you experience Ecuador with us. We know you will love it! Learn, connect, create, charge, relax, smile, LAUGH, and we hope to see you soon! Why learn with us? Because we can teach you to SUPSurf in one week! Yep, thats right, we will have you up and taking waves on your own, out back and comfortable! 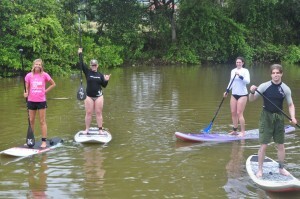 We train on inflatable SUP boards that are small and get you into a groove fast. Once you are taking waves on the inflatables you will get moved to a small SUPsurf board and have plenty of smaller boards to challenge yourself more. We aim to have you out back and self sufficient by the end of the week. 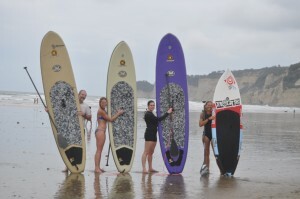 This is not a normal Learn to Surf camp, you will learn much faster then any time you have spent on longboards. Great for people who already surf short or long boards too! Stand Up Paddleboarding is amazing. Really, it is! Let us show you why, if you haven’t already gotten hooked! 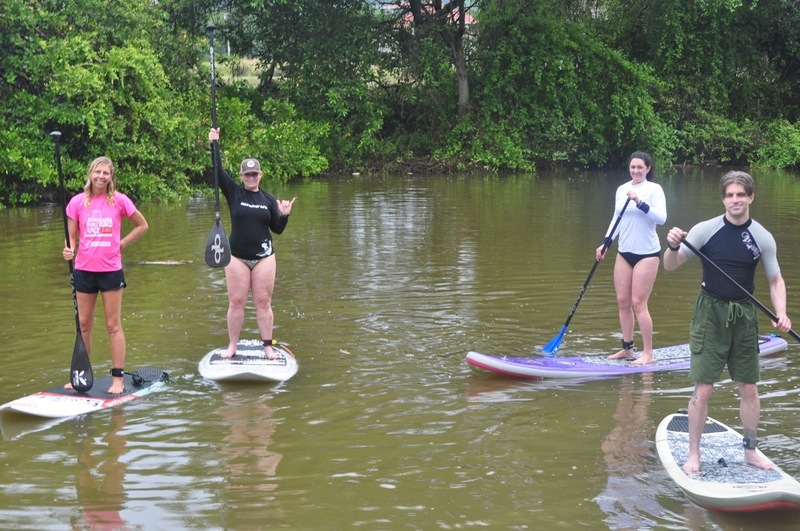 For one reason is that SUP can be a calm river paddle taking in the birds and trees around you OR an exciting surf session OR it can be just a relaxing yoga time out back of the waves. It is adaptable for all ages and all body types. Its easy like riding a bike and we love to tell people about it and better yet showing them! 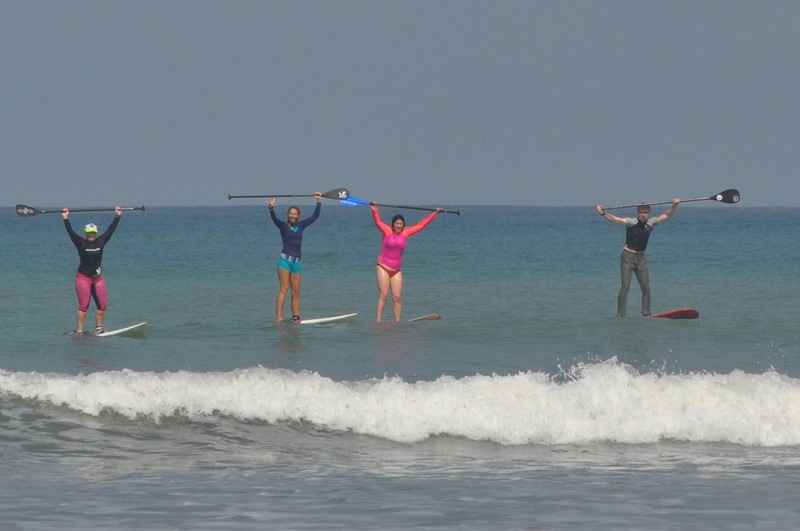 While you spend your days in Canoa, you can enjoy Stand Up Paddleboarding on the river and in the ocean. 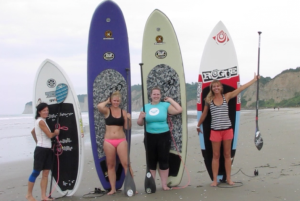 You will learn to get out past the waves, surf with a paddle, and possibly venture over to the beautiful Canoa caves on a SUP tour. You will be able to maximize your exposure to different settings from relaxing to thrilling (calm river, open ocean, surf), while having lots of fun getting a great workout and enjoying the sun and water. 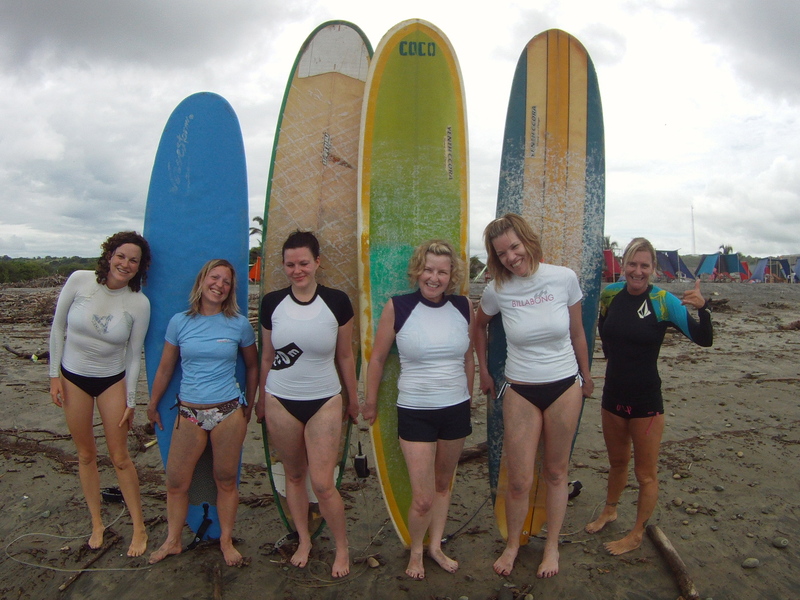 Our retreats are suitable for first time beginners and experienced surfers. Learning to SUPsurf is a bit different from surfing. If you surf already, you should try out a SUPboard. Cross training on the SUP boards will not only make you a better surfer, you will recieve a better workout from your time spent in the water. If you don’t already surf, you will soon. Catching waves on a SUP board is much easier to learn then regular surfing and you don’t need perfect balance (or the perfect pop-up) to do it. 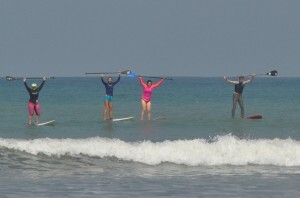 We teach on a collection of SUP boards that range from 11ft to our smallest 7.2. Surfing in Canoa is awesome! Janna fell in love with SUP around 10 years ago while living and surfing on the island of Maui. She realized that everyone should try it and has made it her passion ever since! 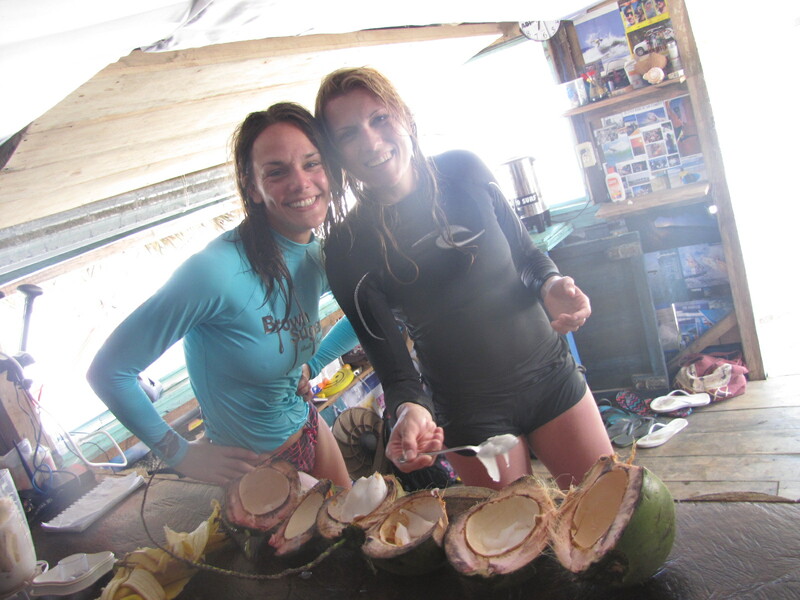 Janna loves spending summers teaching at SUPGirlz in Toronto and the rest of the year showing people around Ecuador and teaching in Canoa. 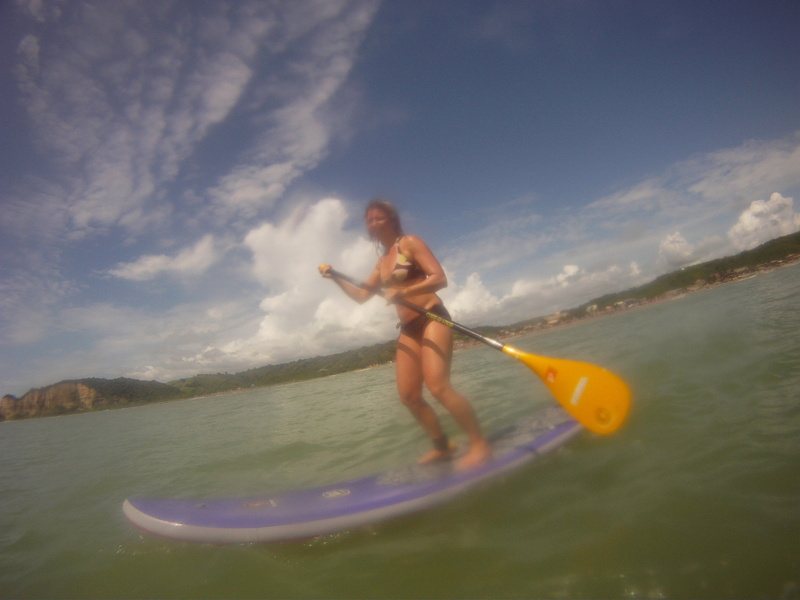 Janna is a yoga teacher, vegetarian, and all around sup/surf enthusiast. 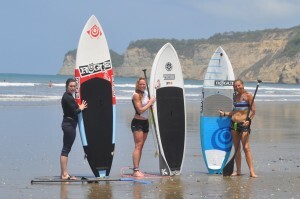 She is part of the Rogue SUP team and is ISA, WPA, and Yoga Alliance certified. Follow her on Facebook, Twitter, & Instagram . 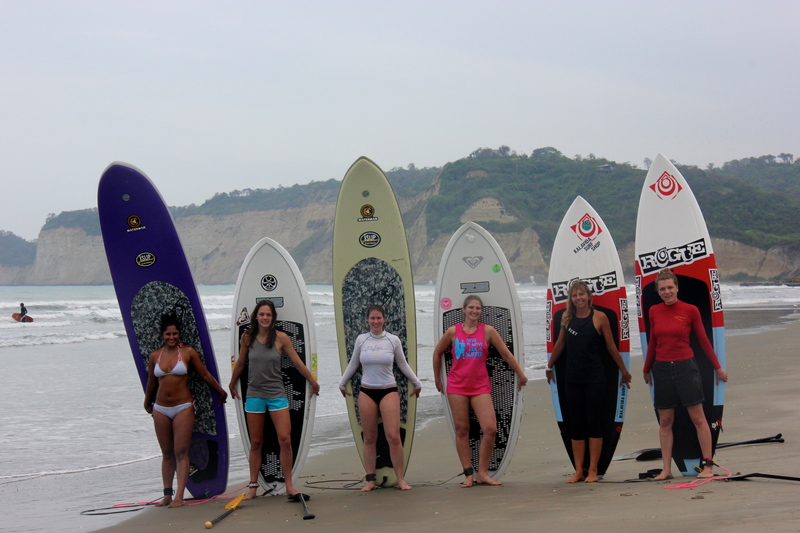 Carlos Gomez- SUP race & surf coach and chef- has grown up next to the beautiful beach break waves of Canoa, Ecuador. He spent more than 5 year teaching surfing on bodyboards and competing on a national level. 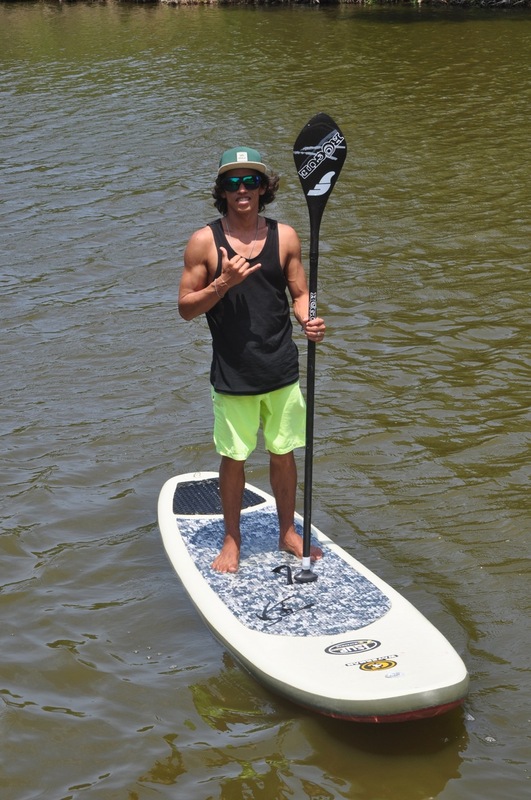 Now, with over four years of SUP surfing he coaches in Canada and Ecuador and competes in both countries. He is a WPA certified teacher and ISA judge. He is currently the fastest racer & best SUPsurfer in Ecuador and is making his way up the ranks on an International level with both racing and SUPsurfing. His first place wins include The Canada CUP, Ecuador’s Sumbawa paddle race, Ontario SUP series, Toronto SUP series, and surf contest The Freshest Wave on Lake Ontario, and won 2 gold medals in Chile, beating out 13 other countries. He also been a vegetarian for 6 years and is the owner of Adicto Surf & SUP Cafe in Canoa, Manabi Ecuador. His sponsors include Jimmy Lewis, Tuga SUP, Hippo Stick paddles and Surf Ontario. You can also follow him on Instagram. Linda is from Australia and has been living in Canoa for around 5 years. 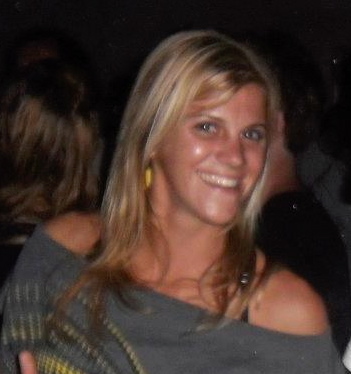 She is an awesome surfer and easily shares tips, stoke and laughs. 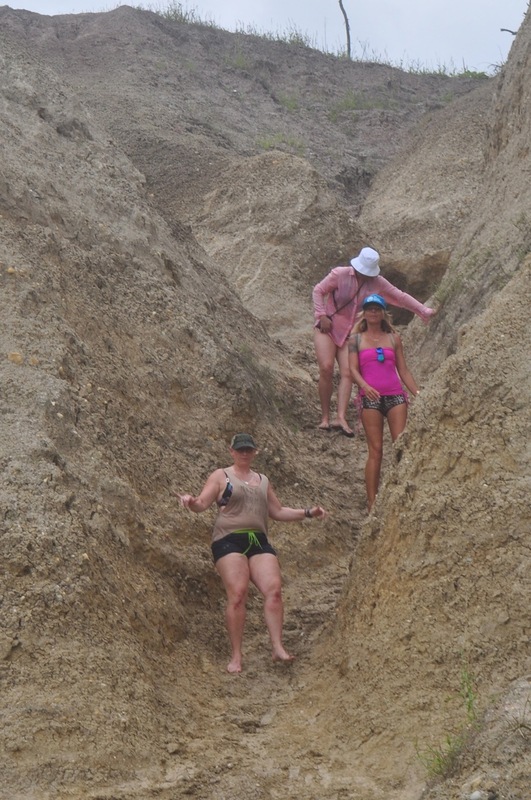 She has been teaching surfing for many year and used to be a pro sand boarder in Africa. 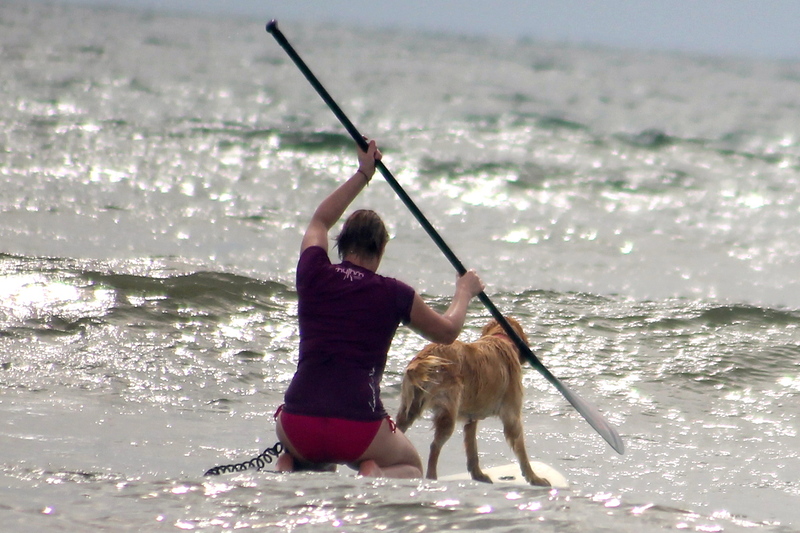 Linda usually surfs a short surf board but has grown to love SUPsurfing and paddle boarding too. 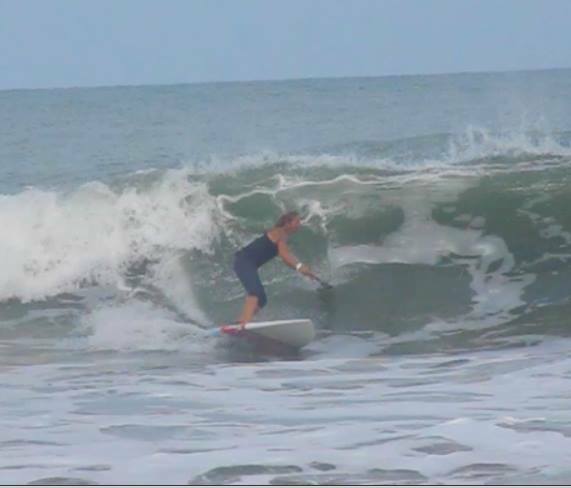 Nadine started surfing in Canoa, Ecuador about 4 years ago… she fell in love with the sport and the place and has been here since. Interested by surfing because it looked like so much fun but hadn’t had the opportunity to try it, Nadine was also scared of the ocean.. but once she tried it, she got hooked and now, says that she feels more comfortable in the ocean than most places on land. “Surfing has made me stronger (physically and mentally), given me more confidence in myself by seeing how I can push my limits and overcome my fears, and it’s also given me a new perspective on life – to appreciate the little things, that money can’t buy. But maybe it has changed me for the worst as surfing now comes first, where possible in my life. 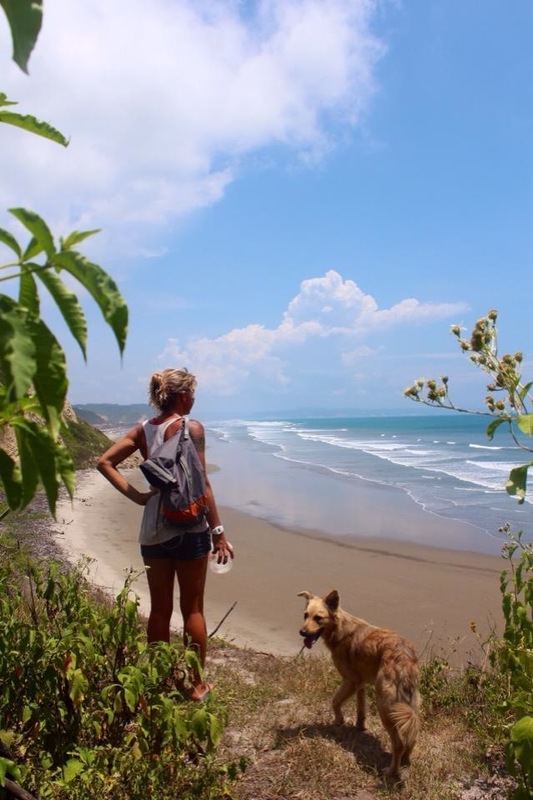 When I’m surfing, and riding a wave, I feel like I’m flying, like I’m connected with the ocean, everything else disappears!” Nadine is from Calgary, Canada and lives full time in Ecuador now, spending her time teaching, surfing, and hanging out with her husband and 5 dogs. 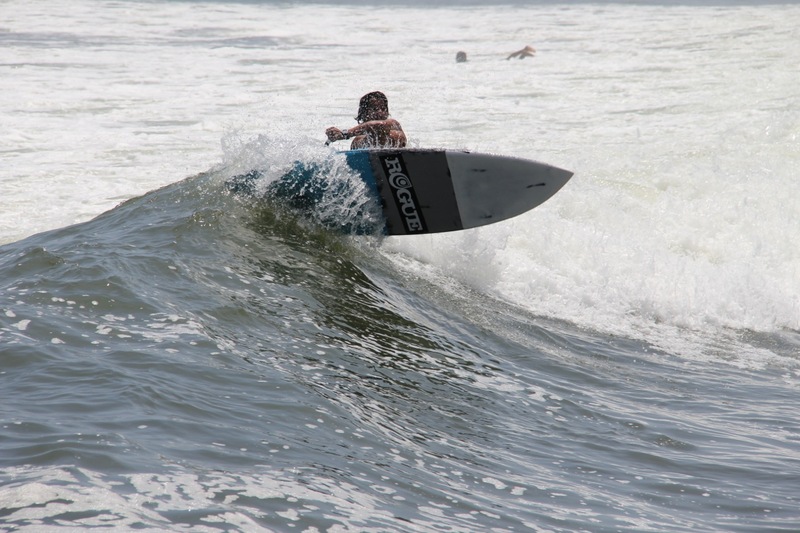 Andrea is a local Ecuadorian that moved to Canoa and started surfing around 9 years ago. She has won many surf contests but now choses to focus her surfing in a more spiritual way. Andrea balances her surfing with a regular yoga practice and loves similarities of yoga and surfing that include patience, equilibrium, agility, power, and flexibility. 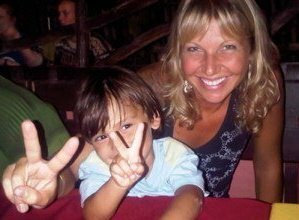 She spends her time teaching surf lessons, spanish classes, and running a restaurant called Café Flor in Canoa. Britta was born in Venezuela and move after finishing high school to Germany. Starts surfing in France 2004, and got in love with it. Living in Germany it was necessary to travel to get some waves. 2010 she went to Newquay and make her BSA – Surf instructor level one, and start working in her uni summer holidays at different spots, and surfing awesome atlantic waves. She spends few years traveling, and always getting back to Germany, her home base for that time until she finishes her degree last Year. She has been teaching few years spanish and sports in primary and secondary school. Now she lives in Canoa, teaches surfing and guiding tourist all around, and special the beautiful ecuadorian coastline.